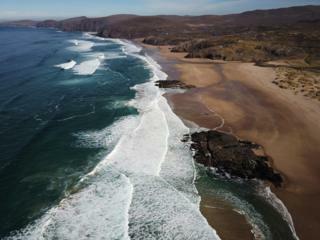 Image caption Andrew Lynas described Sandwood Bay as one of the best beaches he has ever visited and "well worth the hike to reach it". 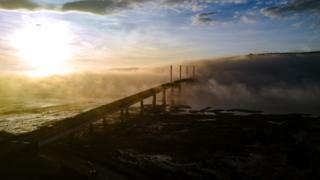 Image caption James MacRae passed the Kessock Bridge on Monday. 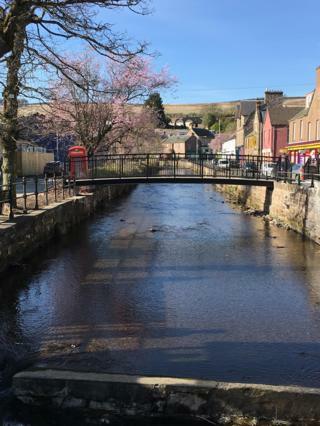 Image caption A new bridge in Alyth after flooding destroyed the old one in 2015. Photo by Stuart Reid. Image caption Who's keeping an eye on who? Tom Dunlop, from East Kilbride, was in Scalpsie Bay, Isle of Bute. 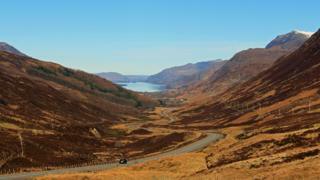 Image caption A view of Loch Maree from Glen Docharty. Photo by David Richardson from Dornoch. 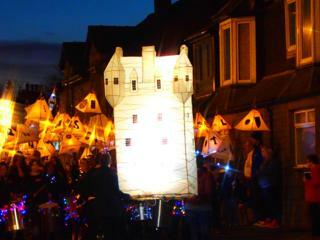 Image caption Maybole marked 500 years as a burgh with a lantern procession on Saturday night. Photo by Alistair Hastings. 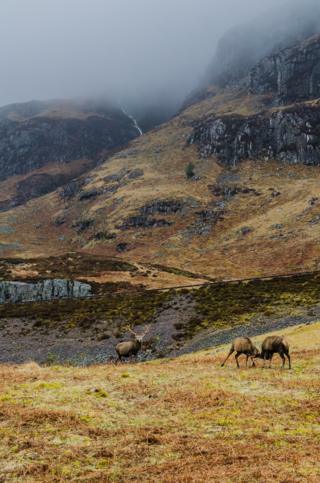 Image caption Stags in Glen Coe. Photo by Klaas De Greve who was on holiday from Belgium. 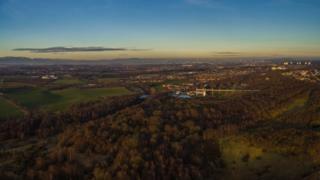 Image caption The Falkirk Wheel and surrounding area. David Wilkinson, from Denny, was out enjoying Monday's fine weather. 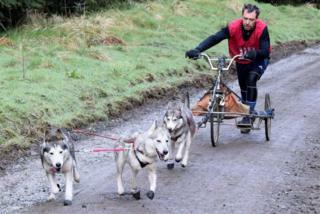 Image caption Sled dog racing on Meikle Bin on Sunday morning. Jill Barnfather, from Glasgow, had walked there from Carron Valley. 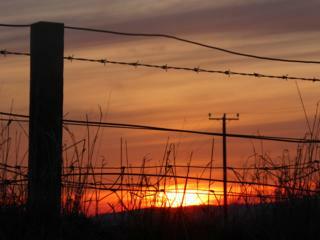 Image caption Sunset over Torphichen, West Lothian. Photo by Brian Cairns from Coatbridge. 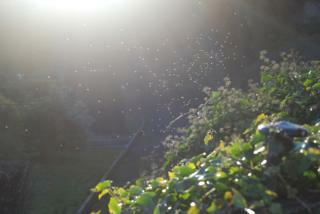 Image caption Midges are out in force in Fife. 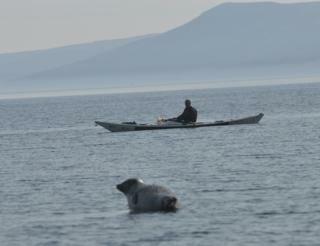 Olive D McInnes, from Dysart, didn't hang around after taking the photo. 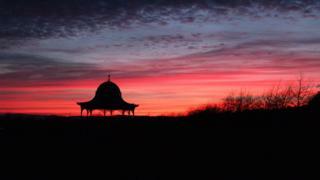 Image caption All was quiet by Dundee's Magdalen Green bandstand on Monday evening. Photo by Hugh Nicholson. 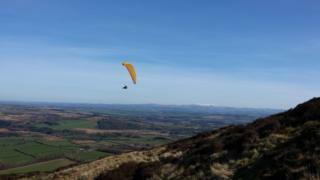 Image caption Iain Anderson, from Irvine, watched a paraglider over the Eildon Hills on Sunday.